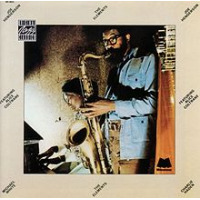 Music Matters is extending its reissue run of classic Blue Note records, which has led them to tenor saxophonist Joe Henderson's 1964 session In 'N Out. His third album as a leader for the label, In 'N Out mixes aggressive hard bop with more searching ballads on its way to turning into a musically diverse, first-rate performance. The rhythm section of the opening title track has John Coltrane written all over it, and with drummer Elvin Jones and pianist McCoy Tyner in the rhythm section, it's no wonder. 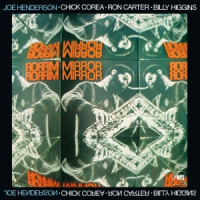 The double melody of Henderson and trumpeter Kenny Dorham flies over Tyner's signature foundation block chords before Henderson quickly moves into an aggressive and lengthy solo. Notably, although the rhythm section framework is very Coltrane-esque, Henderson's solo is not. It's hot and powerful, but it stays in the horn's middle range and feels more rooted in deliberate construction than emotional outburst. Jones is propulsive under the leader's statement, pounding harder and more complex figures as Henderson's solo builds, chasing him into a peak moment where it's hard to tell whose solo it really is. The tone changes immediately as they move into "Punjab," a mid-tempo complex but pretty melody. 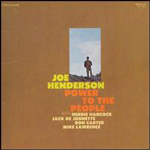 Henderson's solo is more restrained here but he still captures the more dissonant elements of the melody. Tyner's comping is structured more around chord changes and less around reinforcing the rhythmic throb, creating a completely different backdrop. Dorham's trumpet has an uplifting delivery-emotive, positive and rich with brass texture. "Short Story," one of Dorham's compositions, is a good place to discuss the sonic value of the Music Matters vinyl reissues. All of the records in this series are remastered from original master tapes with the singular goal of reproducing every bit of sound captured in the original session fifty years ago. They're pressed onto two 45RPM LPs to deliver the best possible analog playback. The track opens with Richard Davis' bass line layered over a Latin beat before Tyner adds a purely modal chord structure behind it all. It's that bass line where the remastering really pays off. The CD has bass notes on it, but the Music Matters vinyl has a double bass fiddle-woody, plump and palpable. Jones' kit sounds dynamic, with varied timbres on the toms as he fills in the pauses. The piano gains appreciably in weight and dynamics, particularly with big left- handed bass chords, and is nicely placed in the back of the soundstage. It's almost possible to hear the spit in Dorham's trumpet. It's those details that make the difference here, and they're revelatory. These old Blue Note records are classics, comprising music that every serious jazz fan should hear, and the Music Matters vinyl pressings help jazz fans to hear more of that music. 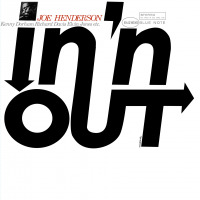 In 'N Out is another great title in a terrific reissue series that's focused on bringing the best of jazz's most creative period back into full aural view. Track Listing: In 'N Out; Punjab; Serenity; Short Story; Brown's Town. 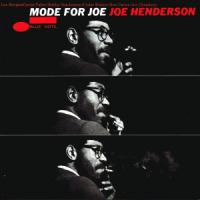 Personnel: Joe Henderson: tenor saxophone; Kenny Dorham: trumpet; McCoy Tyner: piano; Elvin Jones: drums; Richard Davis: bass.